The Add Energy management team has significant experience within the oil & gas industry. The team members have been creating, developing, growing, professionalizing and internationalizing businesses for up to 35 years as owners, top-level managers and board members. Harald joined add energy in 2009 as CFO. He holds a BSc (Honours) in Business Administration from the Oslo Business School and has participated in one out of three modules of the Master of Management program at the Norwegian School of Management. Harald has worked as; Group Chief Accountant (Vice President) of SpareBank 1 SR-Bank, CFO of Figgjo AS, Group Chief Accountant (Vice President) of Gjensidige Forsikring and CFO of Gjensidige Marine & Energy Insurance AS. Dermot joined add energy in 2011 as Vice President Well Management. He holds a BSc (Honours) in Engineering Geology from the University of Newcastle upon Tyne, an MSc in Petroleum Engineering from the Royal School of Mines, Imperial College London, an MBA from the AGSM in Sydney. He has gained extensive international drilling and completion experience with several large operators; BP offshore UKCS and onshore in the Netherlands, with Sun International E&P in technical positions offshore in the UK North Sea, Malaysia, and onshore in Gabon and Shell in Diyarbakir, south-east Turkey. He then moved to Australia, and worked for several operators in a variety of office-based senior technical and offshore supervisory positions. He joined Premier Oil Plc in London as Global Drilling Manager, and was responsible for their well engineering operations in eight countries. In 1999, Dermot returned to Australia and started IPS (now part of add energy) in Perth. Terje joined add energy in 2008, as Vice President Consulting and later Well Engineering Manager. He holds an MSc in Petroleum Engineering from NTNU. He was employed by Exxon and Phillips until he founded Vestdrill AS (now a part of add energy) in 1992. In addition to managing the company, he worked for several oil companies as a consultant drilling engineer and project manager; Aker Energy, BG Norge, BP, Circle Oil, Chevron, ConocoPhillips, Eni Norge, Enterprise, E.on, Esso, Gaz de France, Larmag, Marathon, Hydro, DEA, Saga Petroleum, Statoil, Talisman and Tullow. Terje was instrumental in redesigning the “NORSOK D-010 Well Integrity in Drilling and Well Operations” standard; he acted as lead editor of its 2013 revision and teaches its principles in training courses. Per Arne has been the Chairman since the inception of add energy in 2008. He holds an MSc in Strategy and Finance from NHH and an MSc in Software Development from NTNU. He has 25 years of industry experience from international markets with internationalization, M&A, technological development and growth. He began his career with IRIS (an internationally renowned oil & gas research institute) where he worked on new technology and software for drilling & well applications. He then worked for Statoil and Western Geco on software development within the reservoir and G&G space, and became Vice President of IT company Computer Advances Group ASA (CAG), where he led strategic development, acquisitions, IPO work and investor relations. Thereafter he became the CEO of porcelain manufacturer Figgjo, where he headed the company´s business turnaround and global expansion. Per Arne has previously held positions as Chairman of the Board for the Norwegian Design Council and Chairman of the Board for the Norwegian Centre for Design and Architecture. He is currently a senior partner in Progressus Management and Energy Ventures. Svein graduated from the University of Oslo in 1981 with an MSc in Geology. He has worked for different oil companies (Saga, DNO, Amoco, Revus Energy, Wintershall, Agora, Cairn Energy and Origo Exploration). 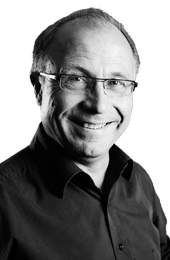 Svein has more than 10 years’ experience as consultant geologist and was co-founder of a consultant company “Jepsen, Sørensen & Ilebekk” (1995) which was acquired by AkerKvaerner in 1997/1998. Svein has co-founded three E&P companies; Revus Energy (2002), Agora Oil & Gas (2009) and Origo Exploration (2014). Revus was acquired by Wintershall (2008) and Agora by Cairn Energy (2012). Today Svein holds the position of CEO in Origo Exploration. Rune is Founder and Managing Partner of the Private Equity company Progressus Management AS and currently holds the positions as Chairman of Viju AS and Board Member of Safran Software Solutions AS, Hannon Westwood Ltd, Energy Ventures Private Equity V AS and of add energy group as. He holds an MSc in Economics and Business Administration (NHH). Rune started his career with Statoil in 1981. From 1990 to 1993 he held a CEO position in the financial services industry and from 1993 to 1999 he was working abroad as CEO in the publishing industry, responsible for twelve European countries. From 2000 to 2006 Rune was the CEO of the information and communication technology company Allianse, taking the company through a business turnaround and growth process including acquisitions and subsequent IPO on the Oslo Stock Exchange. He is currently a senior partner at Energy Ventures. Jostein has a MSc in Mechanical Engineering from U.S.A. and a Ph.D. in Petroleum Engineering degree from the Norwegian Institute of Technology. He has more than 25 years of experience from the Oil & Gas industry ranging from Engineering to Offshore Operations in positions as Project Engineer to CEO. Through his career, Jostein established, developed and commercialized an international pipeline technology service company (PSI), which was sold to T.D.Williamson Inc. (TDW) in 2005. Following this sale, Jostein became CEO and Director of Peak Well Solutions, where he was responsible for the sale of the company to Seawell (now Archer). He then joined Reelwell as CEO in 2009 and managed this company until 2016, when he moved on to take a CEO role with Neodrill. Given his interest in technology development and experience in establishing new companies, he lectures Subsea Engineering and Entrepreneurship courses at the University of Stavanger as Professor 2. He is currently the CEO of Neodrill AS and COB in Reelwell AS.